The smartphones have become a crucial part of our daily activities. They function as your camera, music player, video player and just about everything else. Given our dependence (or rather over-dependence) on them, it is imperative that they keep going without getting bogged down or losing charge constantly. While smartphone processors see a massive improvement in their performance, phone makers are not that kind with battery technology. 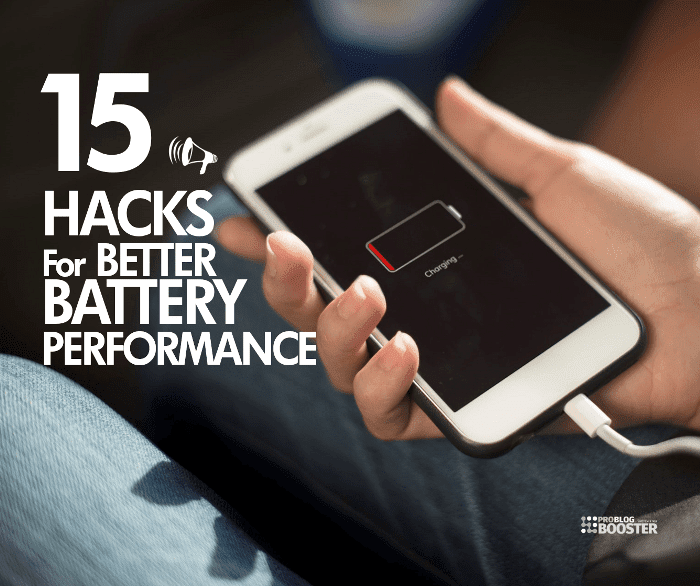 And here these 15 Tips helps you to save, improve, boost & extend mobile battery life by getting better performance. Battery technology has hardly improved over the years. All we get with each new iteration of a smartphone is a slightly large battery in terms of capacity, while a few manufacturers shave off their batteries for slimmer phones. This affects many things and merely wishing the processors to be more and more efficient is simply not enough anymore. To offset this lack of innovation in batteries, phone makers have started provided their devices with fast charging capability. While this does help, fast charging too has issues of multiple standards in the market. Also, it's not always feasible to lug around a charger in hope of your battery dying soon. So, what drains your smartphone’s battery so quickly? This is a question that can have multiple answers merely because each person's usage is so different. Some people have hotspots turned on for the whole day, while some are on a phone call for hours together, while some are gaming at max brightness and max volume. Then there are newer smartphones themselves that come with larger, brighter and power-hungry displays, processors with multiple cores and software that bring more and more features. All these contribute to the battery drain, some little and some more. Something weird is even keeping your phone idle can cause the battery to drain. Wondering why that happens? Here is the answer - smartphones are complex devices made up of multiple hardware and software components, even when you put your phone aside there are many processes working in the background like the 4G radio, apps, operating system and more. All these need battery power and how much of it is drained depends on how well each phone is optimized. If you are a regular reader, you might be seen the recent publication on PBB; Is Antivirus Required For Android Phones? 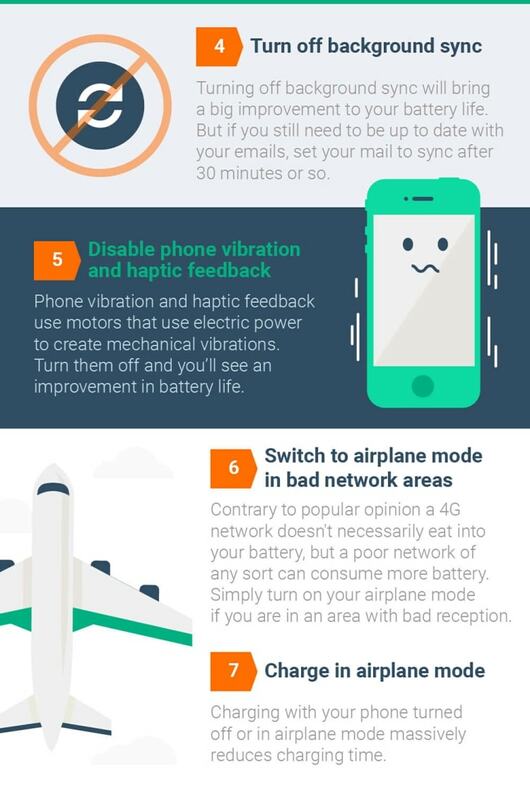 Tips to Remove Malware from Phone | Android Security and here today, I am going to share an infographic describing some but most effective hacks to improve your phone battery life significantly. So is there something you can do to make your phone sip on the battery a little more frugally? Why, yes there is. 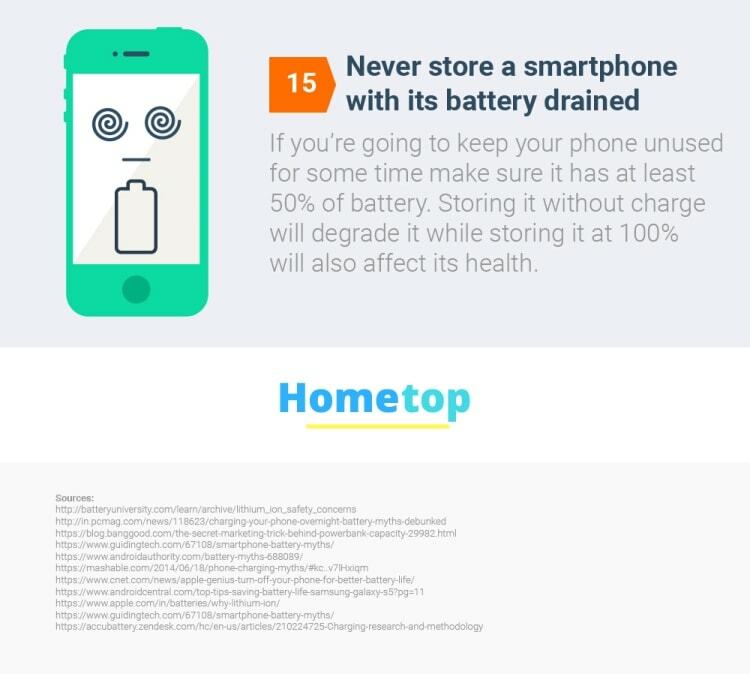 By making using of various battery saving hacks as provided by the infographic, you can protect your phone’s battery life and keep it working until the end of the day. Smartphones displays get bigger and brighter with each iteration and remain one of the biggest cause of battery drains, you will see an improvement in battery life by simply tweaking a few display settings. Starting by reducing the display timeout so your screen dims quickly. 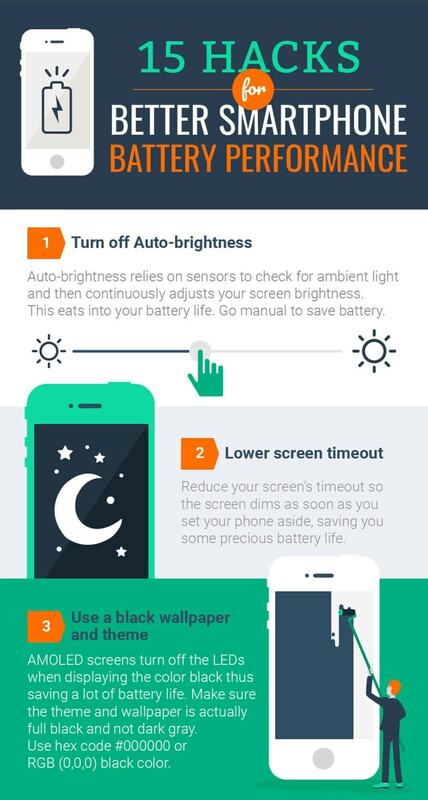 Even manually controlling your brightness will yield better battery life and there are many more tweaks for the display that are shown in the infographic. Another way of protecting your battery life from draining out sooner is by uninstalling the apps that you are not using anymore. Applications, even when not being used have many processes that continue to run in the background that slowly eat into your battery. To protect your phone’s battery, the best idea would be to uninstall the applications that you have not been using. 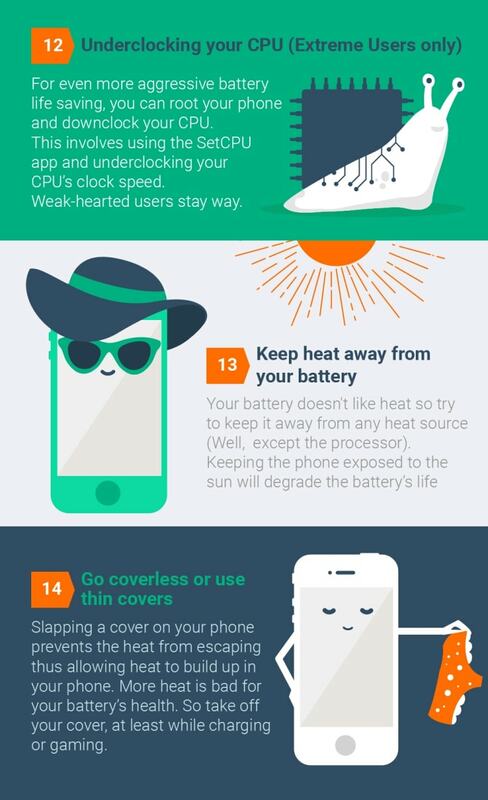 So, give the various hacks as shown in the infographic a try to keep your battery running the entire day and let us know of any hacks that you use.